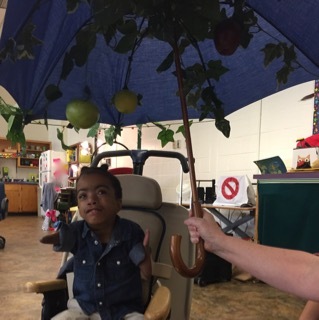 Johnny Appleseed Day is September 26 so we decided to learn a little more about him this week! 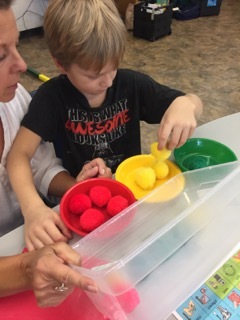 Our sensory groups explored boxes that were all about apples. 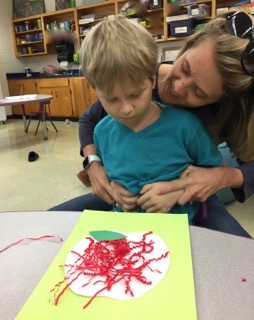 The fine motor groups made apple themed art projects and the language group made a yummy apple snack. 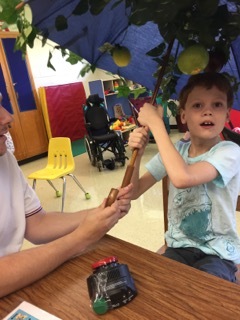 We turned one of our umbrellas into an apple tree this week and it was a total hit with the students! 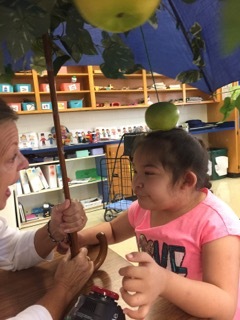 There were 3 different apples to find and a voice output with the song “Don’t sit under the apple tree with anyone else but me”—–an oldie but a goodie! 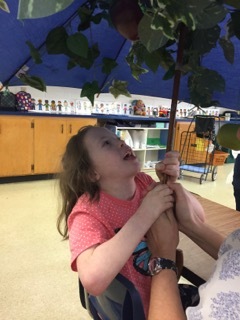 As we said, this umbrella tree really captured the students’ attention. 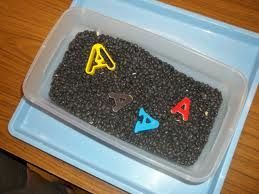 A is for APPLE——the students searched for letter A’s in green rice with black bean “apple seeds”. There was also a map of his home state to find at the bottom of the box. 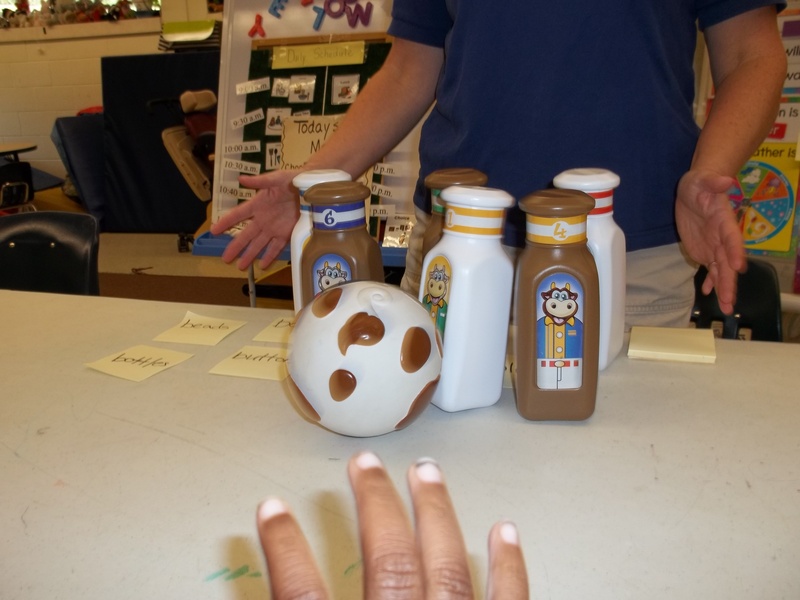 Identify objects by observable properties, such as shape, is a science access point. Apples come in lots of different colors but mostly RED, YELLOW, or GREEN. 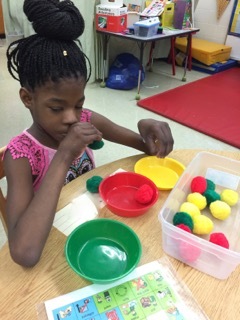 In this box the students sorted colorful “apple” pompoms into matching plates. 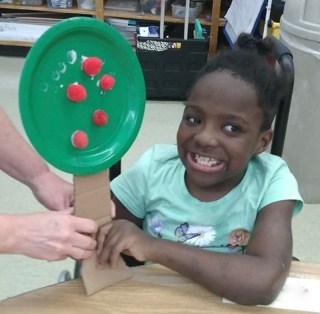 The science access point identify objects by one observable property, such as color, and the math access point recognize objects with three-dimensional objects, such as balls (spheres) can be addressed here. Apple seeds are kind of black and brown so we thought these small beans would work as a nice stand in for them. 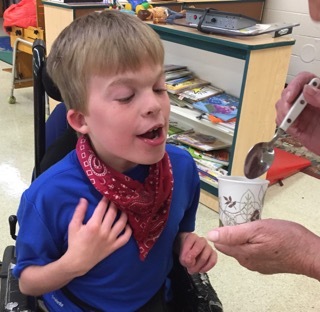 There was a little dish to fill and a measuring spoon for fun scooping practice. 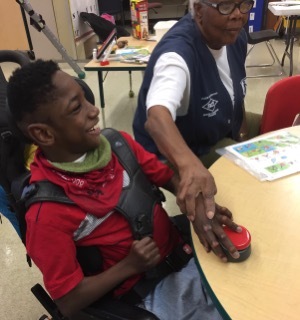 The math access point recognize when an object or person is added to or is taken away from a situation, can be addressed here. 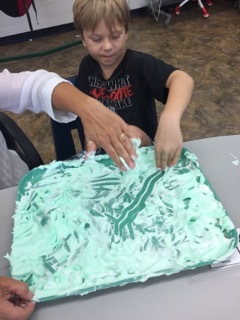 We added some green food coloring to shaving cream this week. 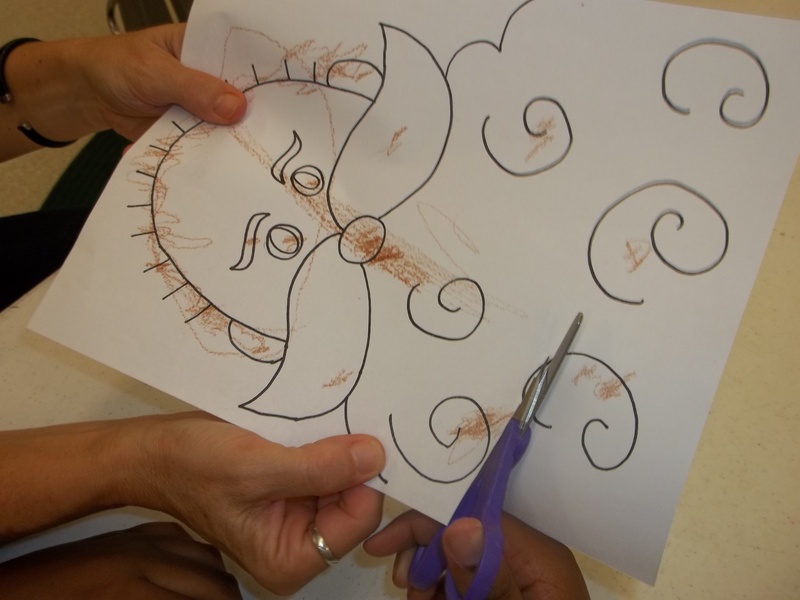 We encouraged the students to draw apple shaped circles or straight line stems. 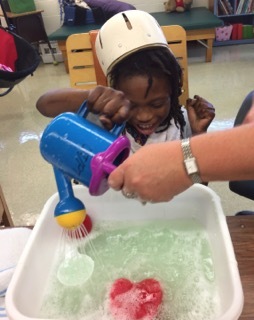 Hands were rinsed in apple scented water with a floating plastic apple, watering can, scoop, and an apple shaped sponge. Lots of different things to interact with here and the students had a blast. 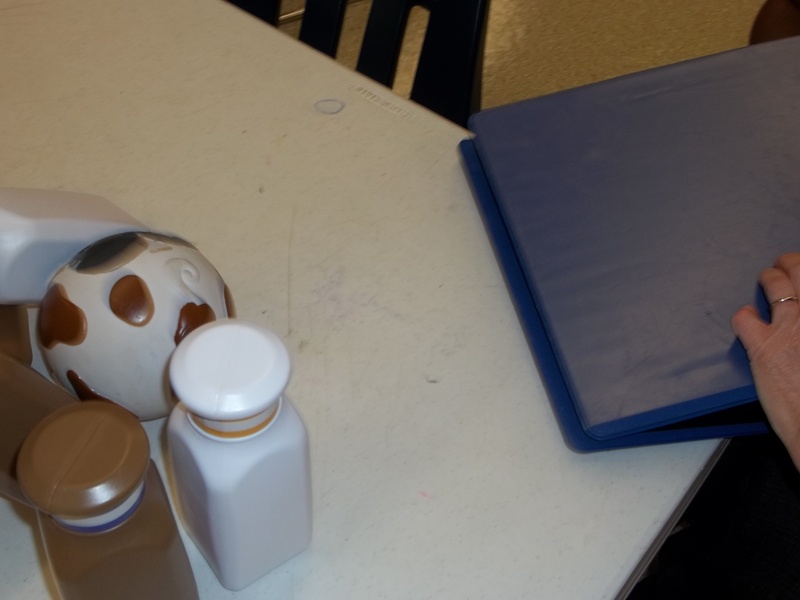 The math access point recognize differences in sizes of containers that hold liquids, can be addressed here. 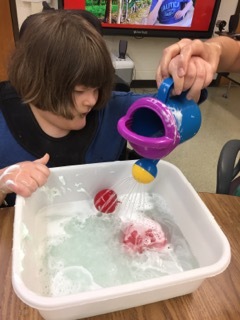 the students were fascinated by the streaming water! 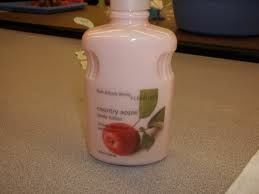 Our apple scent this week was country apple from Bath and BodyWorks. 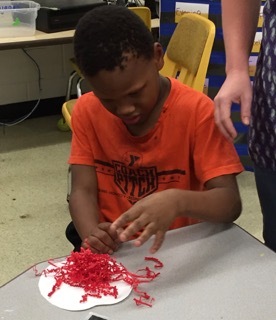 We started by identifying the color of our paper shred. 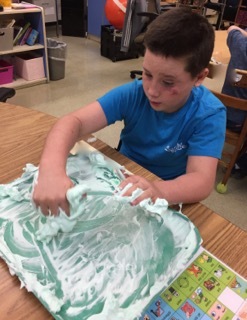 Next the students painted glue (watered down a little bit to make it easier to spread) with a sponge brush. 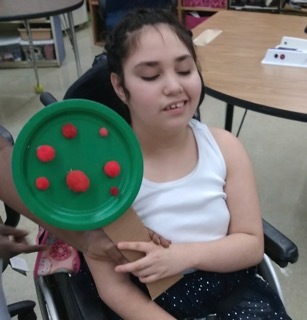 Recognize that pushing and pulling an object makes it move, is a science access point. 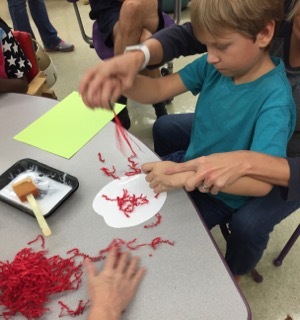 Then came the fun part—–dropping handfuls of paper shred onto their apples! They really liked this part. 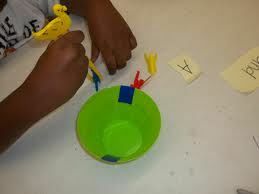 Recognize a change in an object is a science access point. A little green leaf was added and ………..Ta DA! 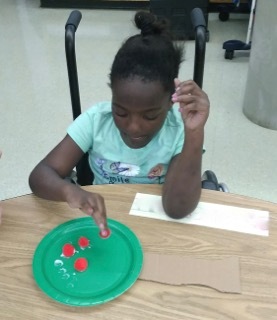 Recognize an object with a two-dimensional shape such as a circle, is a math access point. The science access point identify objects by one observable property, such as color, is addressed here. 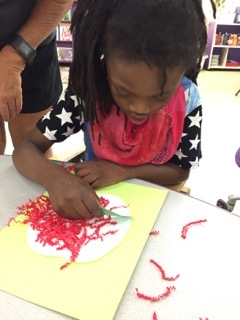 Then they practiced eye hand coordination skills by dipping red pompoms into glue and then gluing them onto their “trees”. 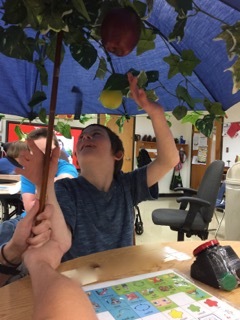 Of course, we counted the number of apples on each tree! The math access points recognize when an object is added to a situation and associate quantities with number names, can be addressed here. Look at our apple orchard! We started out by peeling the apples. 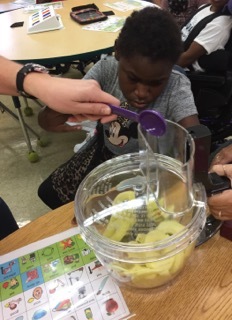 We got to use an apple peeler which was pretty cool to our students. 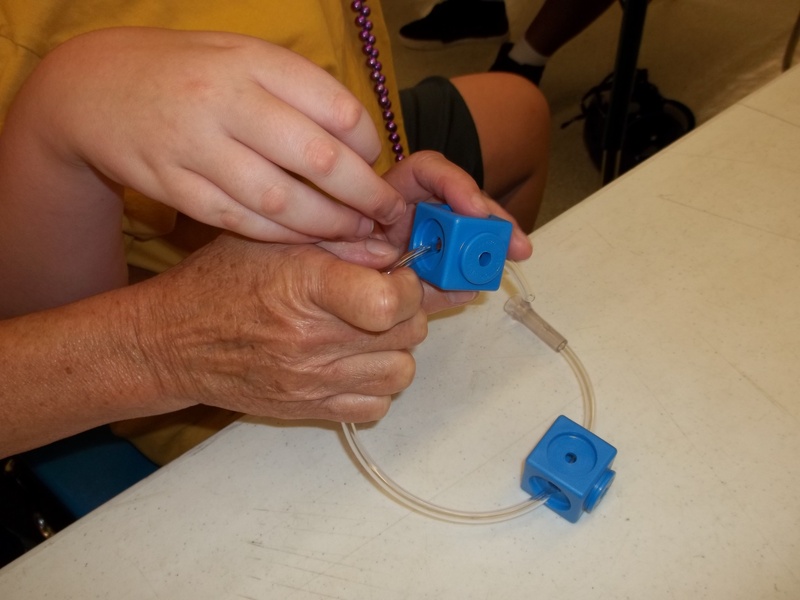 They helped us turn the handle to make the peeler work. 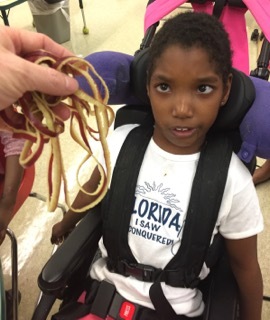 We checked out the string of apple peel! 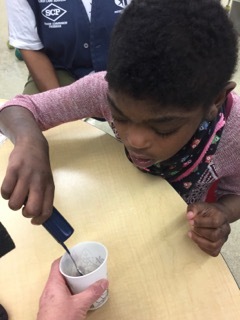 Some of the students thought it was pretty fascinating but others weren’t quite so sure about it. Next, we had to add some lemon juice. 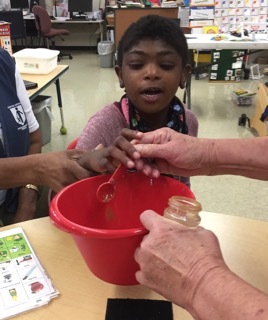 Each of our students got to try a little taste of the lemon juice. We talked about how it tasted SOUR. Then we added some lemon juice to the food processor. 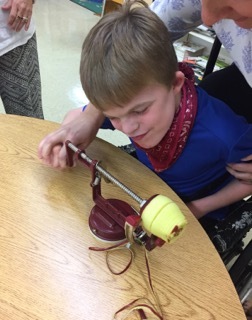 Our students helped turn the food processor on. 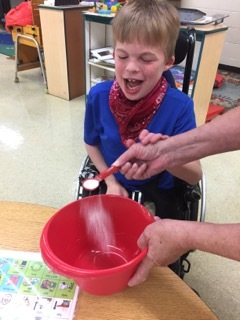 We found that we had to add a little bit of water to help get the mixture going. Recognize a way to stop an object from moving is a science access point that can be addressed here. 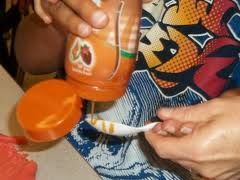 We poured the mixture into a bowl. Next, we added some sugar and cinnamon. 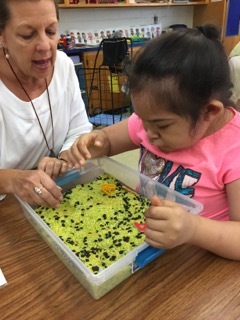 Our students smelled the cinnamon and we talked about how it smelled sweet. We stirred everything up and voila! No-cook applesauce! 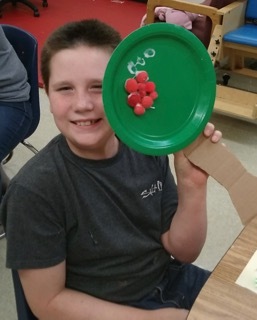 The math access point solve problems involving quantities of objects or actions using language, such as enough, too much, or more, can be addressed here. 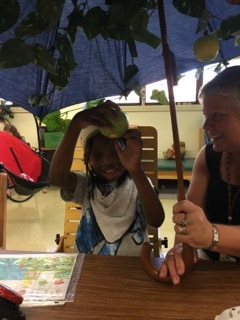 Hope you enjoyed learning a little bit about Johnny Appleseed. 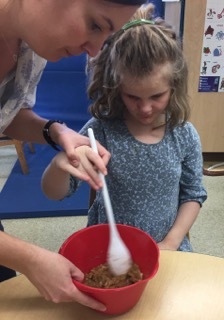 This week our themes were Apples for our sensory and fine motor groups and the letter B for our alphabet group. Live and learn and BACK UP EVERYTHING! We read Cara’s book Apples Apples for Me. We recorded the sounds of an apple falling from a tree and someone crunching an apple on one of our sequencers. On the other we recorded the repetitive line “Apples, Apples Just for Me”. 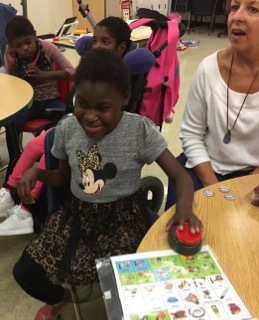 As we read the story the students were able to participate by activating the switches. 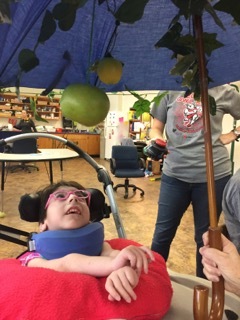 Prior to the session we used templates from Autumn Activities: Apples Apples Everywhere by Peggy Hundley Spitz, OTR and purchased from Therapro to make Apple glasses. They were pretty goofy and a lot of fun! 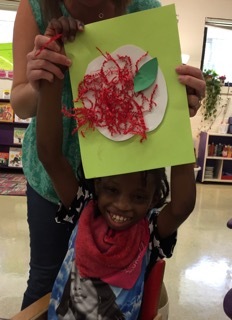 We searched for letter A’s hidden in “apple seeds”. 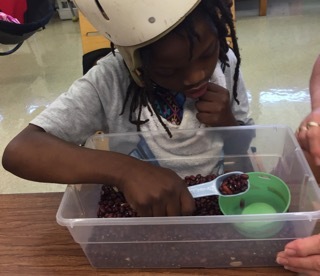 Dried black beans are a great stand in for real apple seeds. 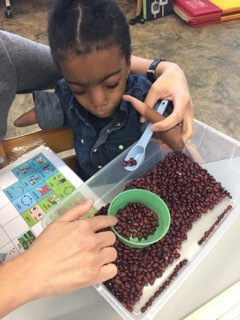 The beans have a great tactile feel and searching for the hidden letters addresses object permanence. 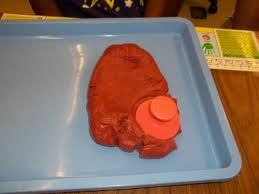 Joy made apple scented playdoh. She substituted apple juice for the water called for in the recipe. The scent was a little light but the red food coloring made it very eye catching. 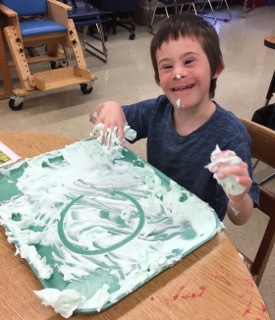 We finger painted letter A’s in applesauce. 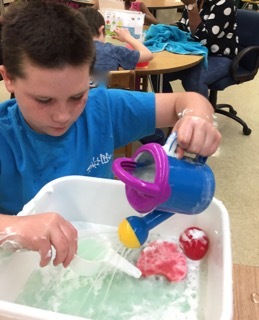 We used Country Apple body wash from Bath and Body works to give our water an apple scent and then put in some realistic plastic apples.After drying their hands, we rubbed them with some of the Country Apple lotion so our students could smell yummy all day and help remind them of the lesson. 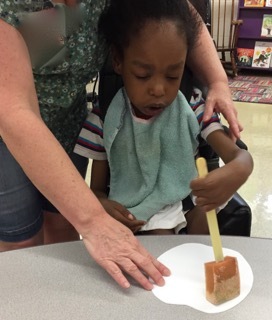 Our students who are able to tolerate oral tastings got to try some applesauce with caramel syrup—-a mini caramel apple! 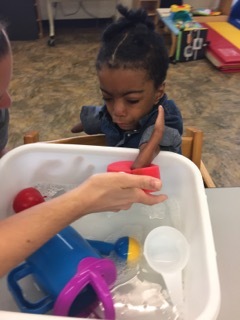 Squeezing the syrup and holding the spoon works on bilateral and eye hand coordination. 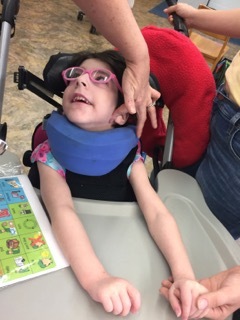 Squeezing also works on hand strengthening. 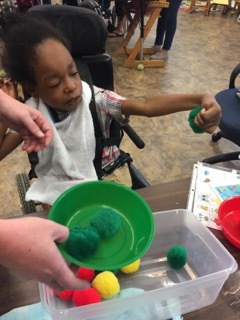 On Tuesday we made apples using a craft idea from Autumn Activities: Apples Apples Everywhere by Peggy Hundley Spitz, OTR and purchased from Therapro. 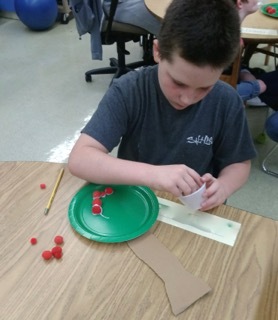 We used a paper cutter to make strips of red and green paper. 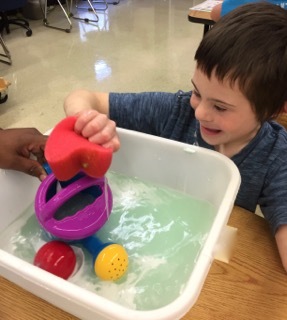 Our students really loved using it. 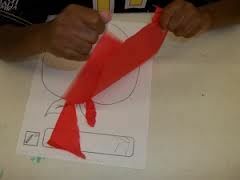 The green strip is folded in half and then stapled to the ends of the red strip . 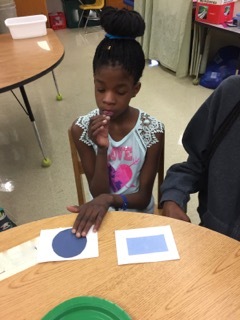 We talked about the shape (circle) that was formed—a math access point. 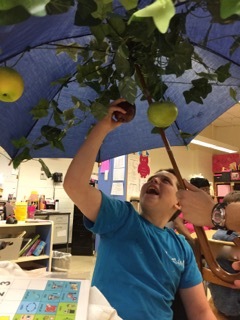 The students hung their apples on the tree. Then we all sat down for a crunchy apple snack! 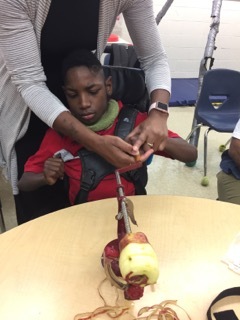 On Thursday, our Fine Motor group continued the apple theme by making great big red apples. 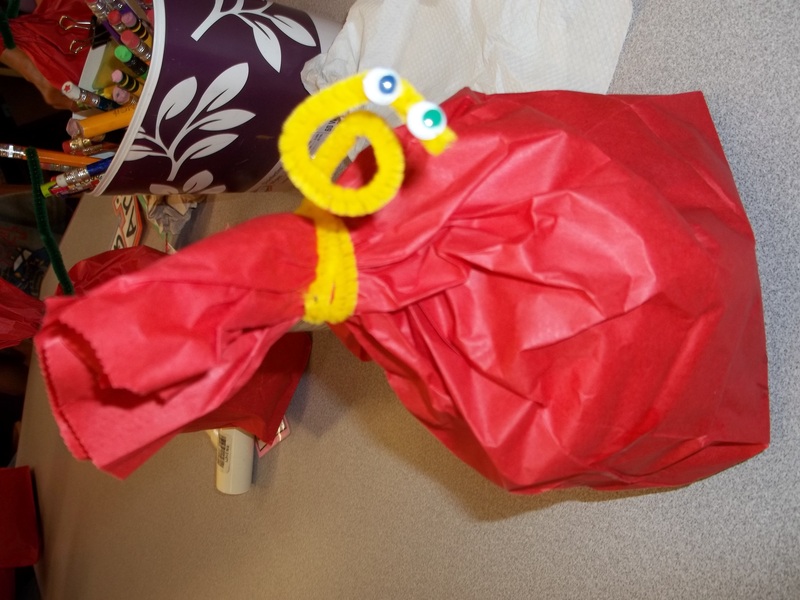 We crumpled scrap paper and stuffed it into a red paper lunch bag (purchased from Target). 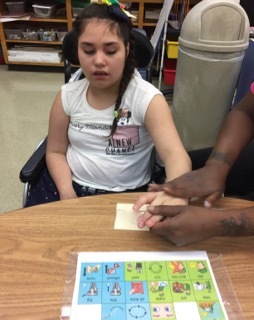 Crumpling paper is great for working on hand intrinsics. Of course, we counted the bags as we handed them out. 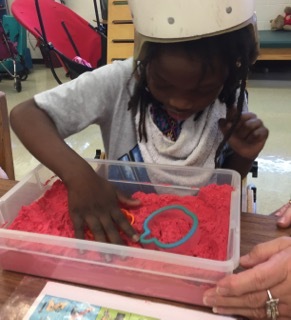 We wrapped a pipe cleaner “worm” around the top of the bag—great for bilateral coordination. 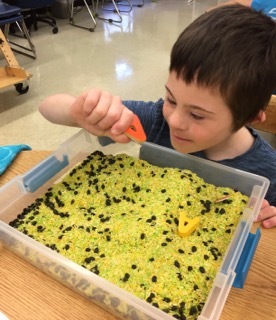 Then we counted out 2 google eyes and glued them to our worm. 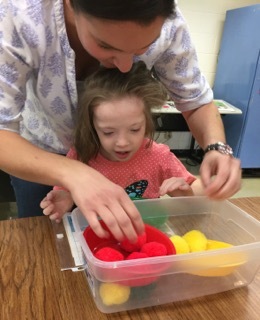 During this activity we incorporated lots of access points by having the students work on math by counting apples and google eyes, work on colors: red, green, and yellow, work on shapes: lines and circles and of course following directions. The students really enjoyed this actitity. We started with Bowling. Each student pushed their Ball to knock down the Bottles—-then counted how many they knocked down. 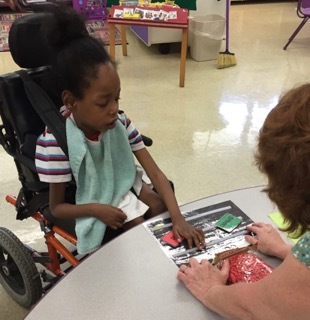 A 3 ring binder made a great ramp! 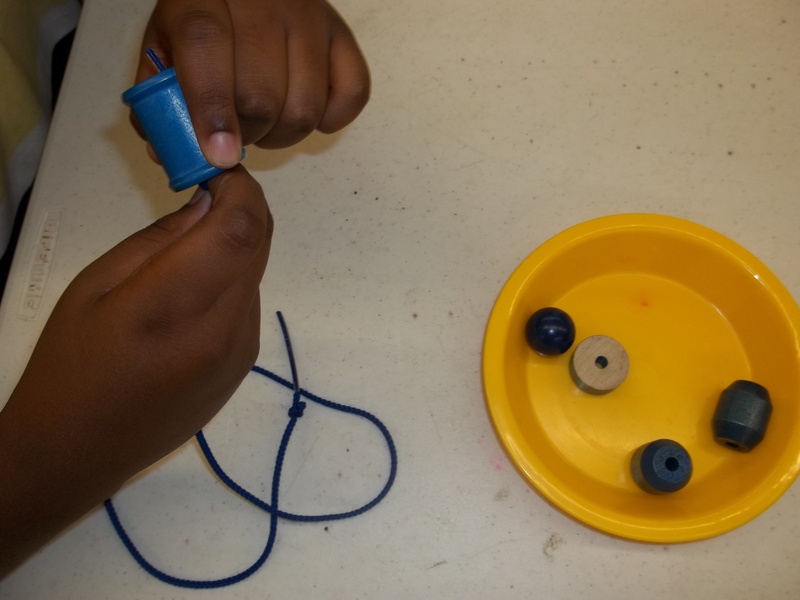 We strung Big Blue Beads. 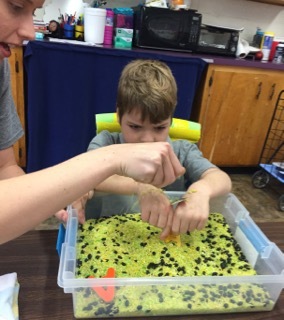 For some of our students aquarium tubing was easier to manipulate. 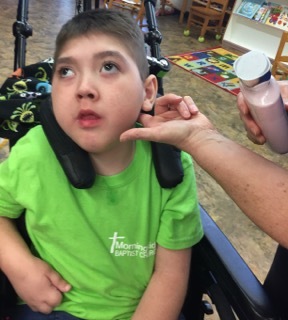 Students colored Bobby’s Beard Brown…. and then trimmed it, to work on their cutting skills. 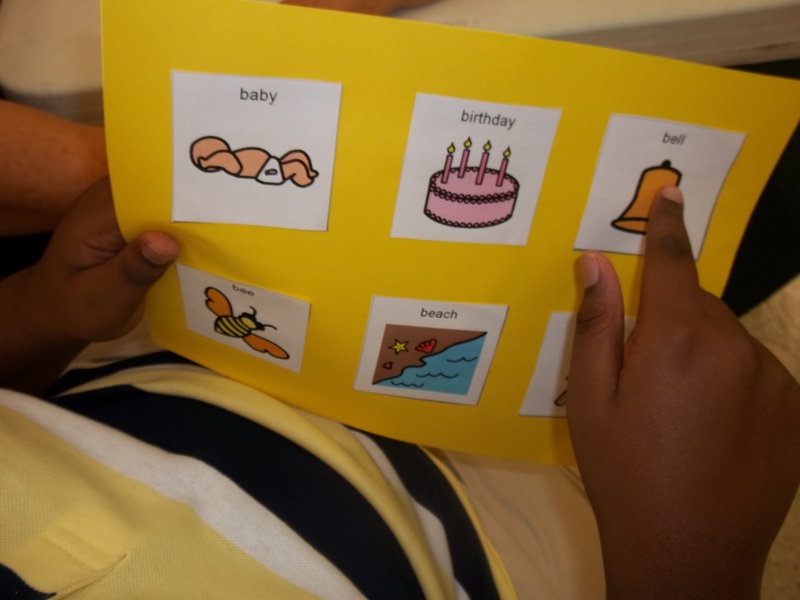 Cara recorded some sounds to play “guess the sound” and the students used BoardMaker picture symbols to identify them. And to end, we reviewed all our Post Its—-we sure found a lot of B words today! Whew, thats it for week 2. 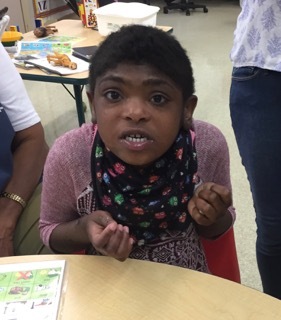 Check back with us next week as we have more fun Group by Group! 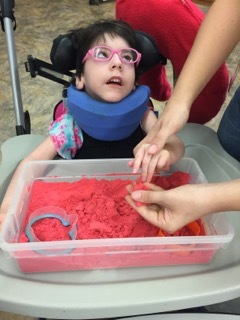 This week our themes were The Beach for our sensory group, Cool School Tools for our fine motor group and the letter A for our alphabet group. Cara made a super book (she will upload it later in the week) with a repetitive line. We recorded the sounds of waves and seagulls on one sequencer and the repetitive line “at the beach” on the other. 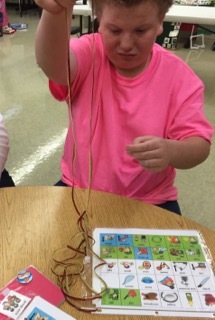 Our students were able to add the auditory component by pressing the switch after the page was read. 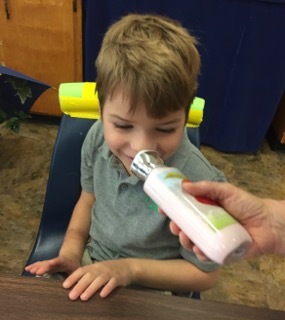 In addition, we passed around the “mer” smell from the Follow your Nose game. 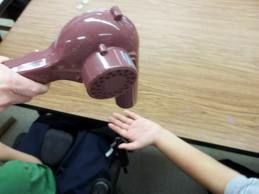 We sprayed water up into the air so it would gently land on the students—-like the ocean spray. We used coconut scented lotion as our “sunscreen”. 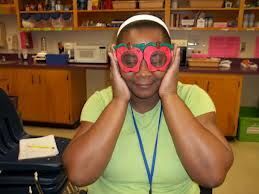 We also had goggles and sunglasses for the students to wear. A hairdryer placed on “cool” setting made a wonderful ocean breeze! 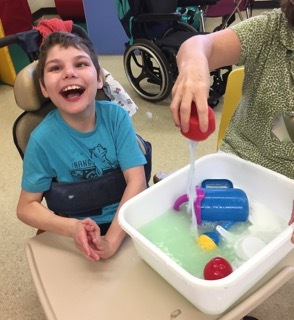 After we finished the story we started our water and fluid play activities. 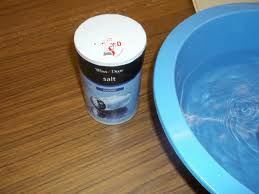 We made salty sea water. 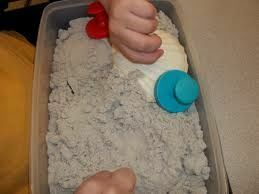 We used large shells and playdoh stampers in the moonsand. 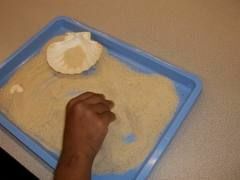 Students practiced their pincer grasps finding small shells in the play sand. 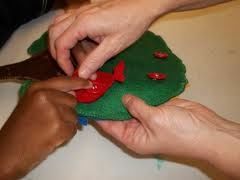 In our Fine Motor Group we talked about Cool School Tools. 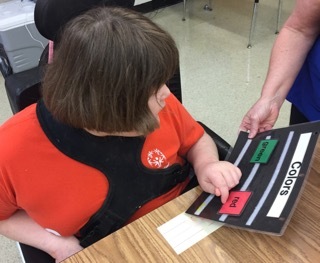 Cara made another wonderful book (uploaded next week) with a repetitive line. 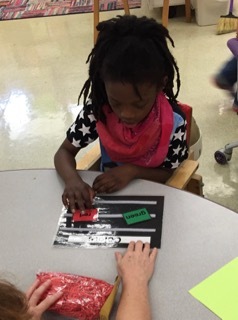 After we finished the book we got to work on our activity. 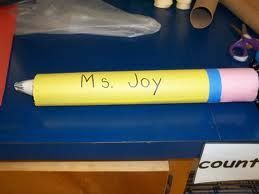 Joy adapted an idea she saw in Family Fun Magazine to make a giant pencil. 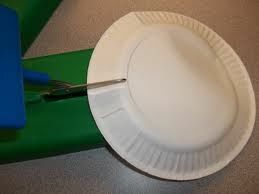 First the students cut a small paper plate in half using an adaptive scissors. 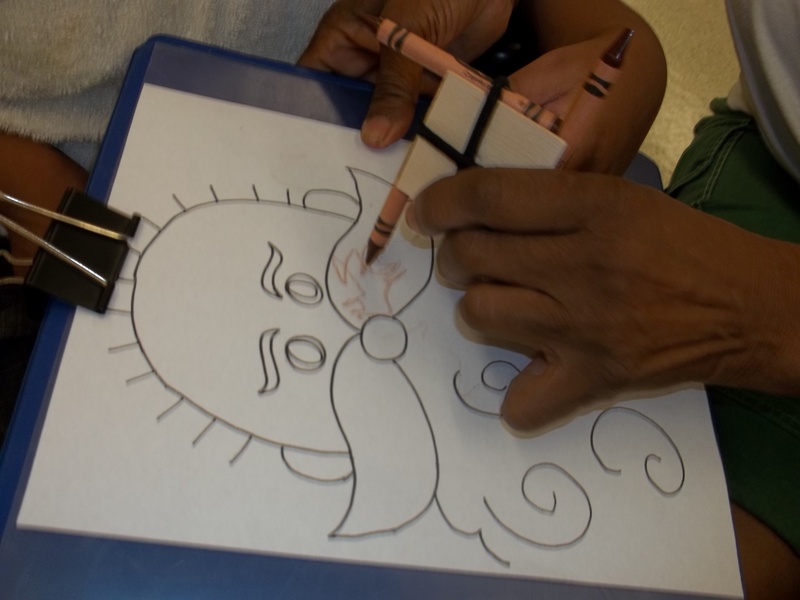 Then they picked a marker and colored one half of their halves. We like markers because they have less “drag” than crayons and have vivid colors. They also have nice fat handles which make them easier to grasp. 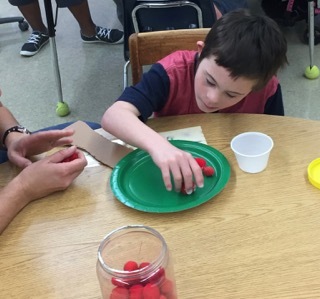 The adults then folded the plate into a cone shape and taped it closed. 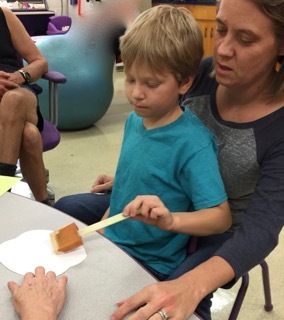 We pointed out that it was a CONE shape, which is a math access point. Precut yellow and pink rectangles were passed to the students. 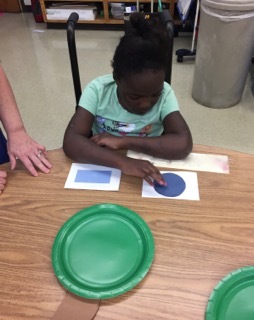 We talked about the shapes, the colors and counted each one as it was passed out. 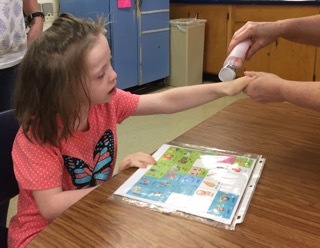 Students practice writing their names then turn the paper over. The pink rectangle is glued to the bottom of the yellow rectangle. 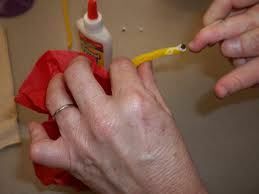 Squeezing glue is great for hand strengthening! 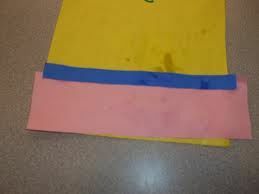 Next we passed a precut blue strip that was then glued on top of the pink rectangle. 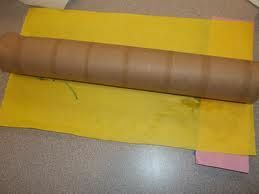 We turned our rectangles over and glued them around paper towel rolls. 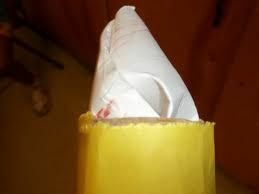 Smoosh the cone into one end. The finished product! 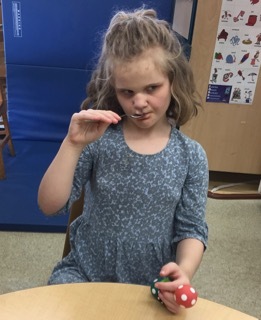 Some of our students started pretend writing with their pencils—–very cute. 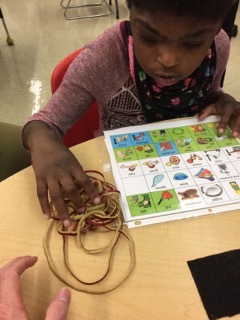 In our last group, our students practice their fine motor skills, literacy and communication skills reinforcing the “letter of the week”. 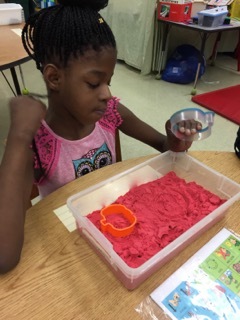 We used tongs to Add Ants to A bowl. Counting the bowls as we passed them to each student. 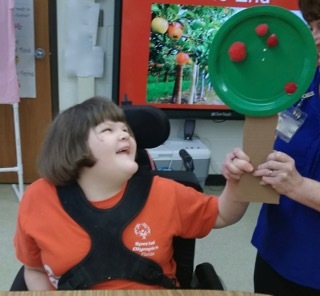 Joy has a variety of tongs for the students to choose from. 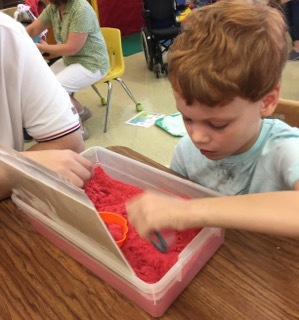 Working with tongs is a great pre-scissor activity. We keep some post-its and a marker handy to write down any A words. 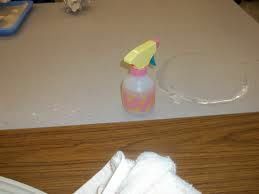 We stick them on the table so the students can see them, point to the words etc. If we use one of the words again, we pull the post-it off and hold it up. Next we buttoned Apples on the Apple tree. 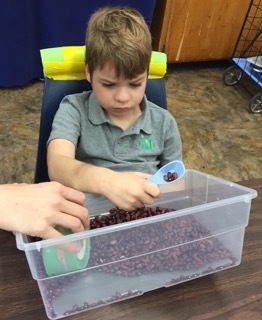 We then passed out worksheets from Autumn Activities: Apples Apples Everywhere by Peggy Hundley Spitz, OTR and purchased from Therapro. 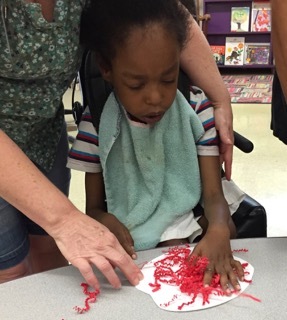 Students were given a choice of red, yellow or green tissue paper. 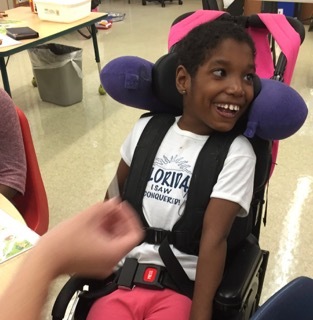 When taking the Alternate Assessment our students have to pick from 3 choices. 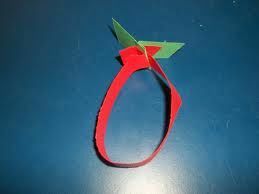 The tissue paper was then torn into smaller pieces and glued onto their apples. Tearing paper is a great pre-scissor/bilateral coordination activity. Well that’s it for our first week. We hope you find some useful information and come back next week for more activities Group by Group!